The online auction to buy and sell iconic, rare and collectable whisky. With very low commission fees we aim to make buying or selling at an online whisky auction easy! Our auctions don't just hold Scotch whisky but also a fantastic selection of Bourbon, Japanese Whisky, Irish Whiskey and other World Whiskies. Beyond whisky we can offer our auction services to many other categories such as Cognac, Armagnac, Tequila, Rum, Vodka, Gin and Wine. For more information please contact us. If you are interested in selling online we are always accepting entries for our next whisky auction. Copper Monument in collaboration with Whiskysponge presents an unparalleled and ground breaking venture into the unknown. 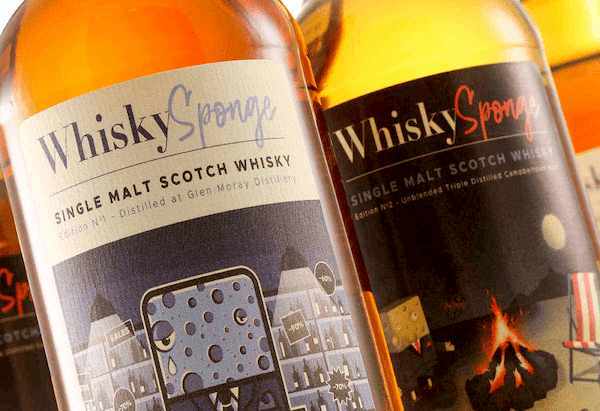 Utilising cutting edge technology and levels of innovation hitherto not believed possible, Whiskysponge has actually selected 'individual casks' and actually bottled them on their own in an 'independent' way. Once you get your breath back you may wish to consider buying one. They are finite. Earth shattering. Delicious. And come with pretty labels. These are limited releases so make sure you don't miss out!